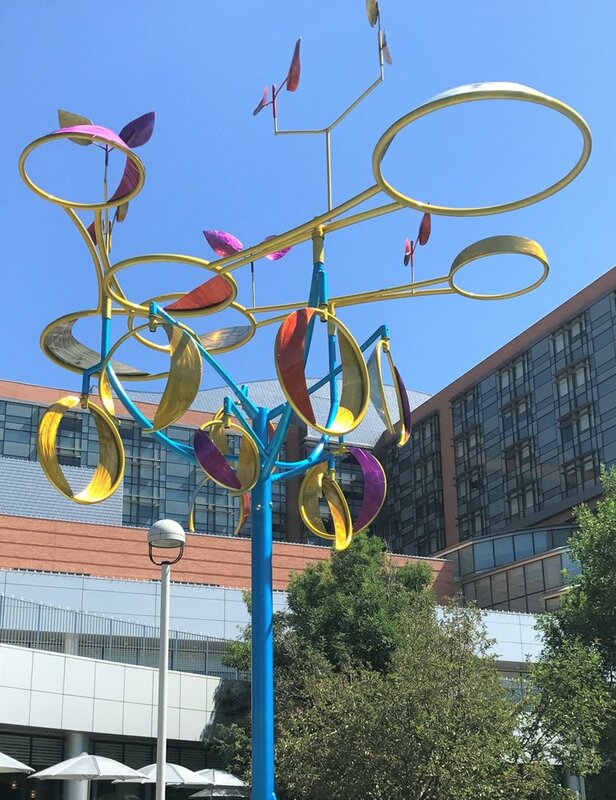 Proposing an original Interactive Kinetic Sculpture created for the open walkway area north of the new Biological Sciences Building. These are large scale outdoor kinetic artworks on a natural theme. All with bright colors and elements of delight and whimsy. Dancers, Sprites, Seekers, Trees, Sky Catchers. All based on different movement systems with different characters and natures.